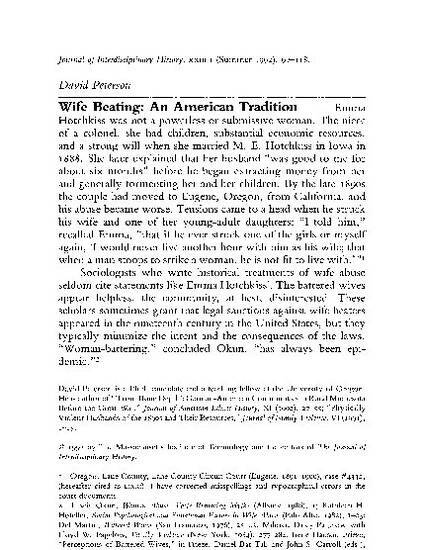 This article explores the history, social conditions and possible causes of wife beating, chiefly as reported in Oregon during the mid- to late 19th century. Peterson del Mar, David. "Wife Beating: An American Tradition." The Journal of Interdisciplinary History 23, no. 1 (1992): 97-118.